Underwriters are the backbone of KRVM. Our underwriters not only support educational opportunities for students and adult volunteers, but also support KRVM’s continuing effort to offer the widest variety of music and entertainment, and to air local community public service announcements. 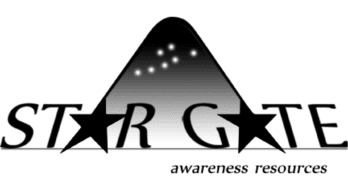 To become a vital part of the KRVM story, or for more information, contact Paul Schwartzberg, Development Director, by phone 541-790-6686 or email @..
As a public service, and as our way of saying thanks, we offer these links to the Underwriters who help keep KRVM on the air. Please support their businesses, and let them know how much you appreciate their support of KRVM! We help local businesses, small and large, manage their accounting, bookkeeping, payroll, and overall financial needs efficiently. Advanced Energy Systems is a solar power company serving commercial, municipal and residential clients. Home designer, builder, and general contractor. Website development, website updates, content marketing and consulting. Eugene’s best stocked and most knowledgeable fish store and garden center. An urban cycling store specializing in bikes, gear, guidance and enthusiasm to support people to travel by bike. Thousands of beads for hundreds of projects. Beergarden is literally the bringing together of beer + garden. Located next to Gray’s Garden Center in Eugene, Beergarden is an eclectic home to fine foodcarts and a Taproom with 42 taps and hundreds of bottles of craft beer, wine, cider, and kombucha. 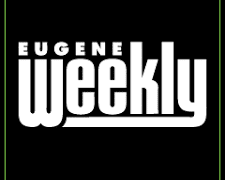 Eugene’s Premier Audio and Video Retailer, now in Delta Oaks shopping center. New independent movies. A newly independent movie theater. Offering a concession stand serving beer, this movie theater showcases foreign & independent films. Casual dining or take-out at locations around Eugene and Springfield. 100% Organic, Fair Trade Arabica Coffee, Shade-grown by Mayan Farmers in Chiapas, Mexico. Eugene’s World Class Neighborhood Market, at 2489 Willamette. Veterinary services provided at two convenient locations, owned and operated by Kelli Rosen, D.V.M. One of Oregon’s most respected builders, since 1955. 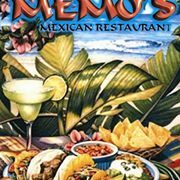 Serving Eugene’s finest Mexican cuisine since 1994. Checkmark Painting is a full service residential and commercial painting company based in the Eugene-Springfield area. The freshest coffee using beans from around the world. Cornucopia’s two Eugene locations offer fresh food, a friendly atmosphere, and a great selection of beverages combined with warm service. Enjoy live music outdoors during our spectacular Oregon summers. Located on Q St. in Springfield, Di’s Floor Centre features current styles in all floor coverings. Sales, service and repair of home appliances in the Eugene, Springfield and surrounding areas. All that’s good begins with good health. Your smile and health are our top priorities. Oregon’s oldest and largest concert company. 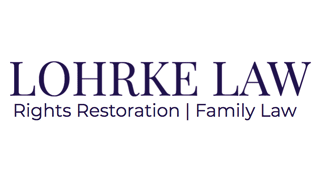 Serving Lane County for Over 30 Years. Compassionate care for your animal friends. Since 1924, Eugene Coin and Jewelry is the premier precious metals, collectable coin and jewelry exchange in the South Willamette Valley. Saturday Market features locally and regionally handcrafted goods, International foods made fresh on site, and live entertainment every Saturday, April through November. Holiday Market takes all the good things about Saturday Market and moves them indoors where it’s festive and cozy! Find out more at holidaymarket.org. The Eugene Science Center strives to engage children, excite their curiosity, inspire them toward a lifelong love of learning about science, and empower them to use science and technology to improve their communities. For eighty years over five generations, we’ve provided our community with the finest toys, games, and hobby supplies. Lane County’s alternative, progressive newspaper. Our eye care team is here to care for all of your vision needs. Located at 28th and Willamette in Woodfield Station, right next to Market of Choice. The largest selection of the freshest seafood in the area. Fisherman owned and operated. Flying Ink Media provides full service publicity and marketing services, including campaign advertising for regional businesses. Visit our retail stores in Corvallis, Eugene, Portland, and Hood River, or shop online at Birkenstock Express. Memorable radio programs from 1935 to 1960 are revived by a repertory theater troupe at the Hult Center in Eugene. A specialty grocery, deli, and neighborhood gathering spot in the heart of South Eugene’s Friendly neighborhood. Roasting every day since 1979, creating finely crafted coffees that are unparalleled in freshness, flavor, and style. We pick you up! Serving Eugene and Springfield, Oregon. A name you can trust. For more than 10 years, a family-owned and operated Willamette Valley business delivering quality service for all your towing needs, with unrivaled customer satisfaction and convenience. The Hult Center for the Performing Arts is in Eugene, Oregon operated by the City of Eugene. More than 700 events and performances take place here each year. The Hult Center is located in the heart of Eugene’s vibrant downtown on Willamette Street between 6th and 7th Avenues. Bagels, breads, spreads, pastries, and more — fresh and homemade, every single day. Family-owned and operated since 1977. Eugene’s original discount building-materials store since 1961. Offering the bounty from our more than 85 growers and producers, we’re celebrating over 100 years of serving farm to table freshness in Eugene. Every autumn, more than 230 exhibits for the home and garden. Discover ideas to refresh, renew, or remodel your home and yard. Sixteen disposal sites offering full recycling options as well as garbage disposal, complimented by educational resources that emphasize waste prevention and reuse. Providing premium meats, cheeses, poultry and fine products for over 87 years. 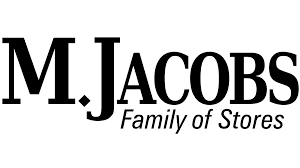 For more than 75 years, the M.Jacobs family of fine stores has led the way to beautiful homes in the northwest! Eugene’s Home of the Blues, also offers delicious cuisine and designer cocktails, in a delightfully casual atmosphere. Located on Willamette Street, just south of the heart of Eugene, in the historic Veterans Memorial Building. Makindu Children’s Program is a charitable 501(c)(3) non-profit organization headquartered in Eugene, Oregon that supports a day resource facility called Makindu Children’s Centre (MCC) in a rural region of eastern Kenya. The Centre provides for the nutritional and medical needs of hundreds of destitute AIDS orphans and other vulnerable children, as well as access to primary education through high school, psychosocial support, advocacy, and vocational training. “Music Is Better Live” Built in 1925 and loaded with memories, the McDonald Theatre has evolved into a performing arts venue, rich in theatrical history with a desire to capture live artistic movements of the times. Featuring an incredible inventory of used and vintage guitars and amplifiers, and great deals on new guitars and amps from the best names in the business. Serving the Eugene music community since 1981. Vantage Realty strives to make sure that you’re incredibly happy with your home and its value as a long-term investment. Whole pies, slices, and catering services with locations in Downtown Eugene, Crescent Village, and Downtown Springfield. Physical therapy, with a holistic and individualized approach. Importers of fine live music, serving the Northwest since 1983. Get your life back. Dedicated to neurosurgical and orthopedic spine care, providing the highest quality care and the greatest level of convenience in every step of your recovery. Eugene’s premier fish retailer and wholesaler, delivering the freshest and most flavorful selection of seafood. Celebrating 125 years in Eugene. Locations on South Willamette and Coburg Road. Dedicated to brewing fine craft beer. Our name, Oakshire, represents our core values: the Strength of the enduring Oak, the Independence that fuels our innovation, and the Community that remembers our place within the whole. Three locations — downtown Eugene, south Eugene, and southeast Portland — serving Belgian-style waffles that make you want to hug someone! 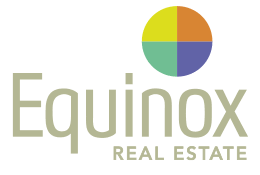 A full-service construction company with building projects throughout the Northwest. We care about our pasta. Handcrafted close to home since 1981. Call us at (541) 344-7115. 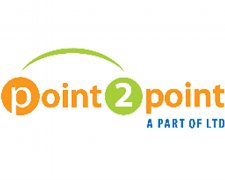 Making it easier to find safe, affordable, and planet-friendly ways to get from point 2 point. Classic Mediterranean cuisine in the heart of downtown Eugene. poppisanatolia.com Or join us on Facebook. Offering products of unique quality and style with unmatched customer service. How you live and what you love serve as the foundation for our inspired home designs. Located in the historic John Rennie house Rennie’s Landing Restaurant and Bar has served the University of Oregon campus area since 1981. Eugene’s premier florist, for beautifully arranged flowers and gift baskets for any occasion. Founded in 1978, Ritta’s has become a Eugene Saturday Market tradition. Award-Winning roofs for residential and commercial buildings since 1971. 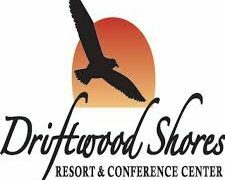 Serving customers in the Willamette Valley and central Oregon from offices in Springfield and Bend. Sales, rental repairs, and refurbishing since 1993. A wide selection of new and used drums, cymbals and hardware, in addition to a full line of heads, sticks and parts at affordable prices. Since 1995, we’ve represented Eugene’s unique Whiteaker neighborhood with a warm, laid-back atmosphere, a rotating selection of local and regional microbrews, a full bar, quality vittles, and — of course — one of the west coast’s best places to see diverse local, regional, and world-class entertainment every night. Recycling and garbage collection in Eugene, Springfield, Creswell, Veneta, Lowell, and the surrounding area. Waste less and let us safely dispose of the rest! For life, home, car insurance and more. Locally owned in downtown Eugene, offering the best service and a wide selection of shoes for infants through seniors. We meet the needs of non-profits and small companies with effective, award-winning media for fundraising, education, and public awareness campaigns. Smith Family Bookstore has been buying and selling used books for 35 years. Our business is simple: we buy a lot of good books and sell them for fair prices. Southtown Shoppes, at 28th and Oak in South Eugene, is home to a variety of businesses, including Barry’s Espresso & Deli. Integrating art with the science of professional tree care. ISA certified arborists. Dedicated folks working every day to bring you the quality Nancy’s Dairy and Soy Products you’ve come to expect for over 50 years. 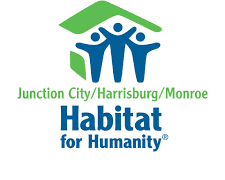 Our mission: excellent customer service; low, affordable rates, and community support. SUB is owned by and responsible to the people it serves – you! We’ve developed an outstanding reputation for integrity and consistently high quality auto repair and service. There’s no better place to get the car care you need. Our mission: Individuals nourishing community nourishing individuals. Committed to the highest quality ingredients and the nutritional benefits of soy. An array of pickled items, fruit spreads, salsas, and albacore tuna. The best quality organic products, mixed and preserved with love and care. 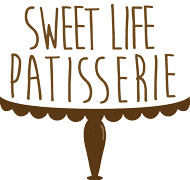 Sweet Life’s cakes, pastries and desserts are lovingly hand-made from scratch, using both traditional French and classic American recipes. Great food, great drinks, great people, great ambience! Find out for yourself, soon! The Tap and Growler is a nod to an era that appreciated fine craft and communal conversation. The taproom was built to be a place where patrons could gather, as well as rekindle the lost appreciation for a growler to go — with 81 taps to provide the very best in craft beer, wine, cider, mead, kombucha, cold pressed espresso, and soda. Founded by two Lane County wine grape-growing families, Territorial Vineyards & Wine Company vinifies what it grows. Eat, drink, and make merry, any day or every day, at Broadway and Olive in downtown Eugene. Shopping the Kiva — a locally owned and operated business — supports more than 250 local and regional growers and producers. 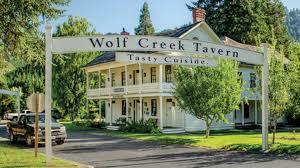 Holiday in style, relive the past, in the heart of Oregon’s wine country. Specializing in Volvo repair, maintenance, and parts for 27 years. For over four decades, we’ve offered the finest of custom-blended fragrances and body care products, with a strong focus on healthy ingredients, integrity, and environmentally conscious business practices. University Theatre provides an opportunity for University of Oregon students to participate in dramatic arts productions and provides an opportunity for University of Oregon students and residents of the community and surrounding area to see live theatrical performances of high caliber at affordable prices. Vipertoons is the producing arm of The Vipers, Eugene’s premier blues band. For nearly 20 years, The Vipers have been entertaining fans in the Pacific Northwest and Europe with an intoxicating brew of Chicago and Delta blues, funky R&B, and New Orleans rhythms that bring audiences of their seats and onto the dance floor. Local food, drink and music venue, for and by the people. Our menu and atmosphere scream cozy, creative, funky, and kid-friendly. The Richard E. Wildish Community Theater is the premiere entertainment destination for the greater Springfield area. The theater features 283 seats in stadium seating and there is truly ‘not a bad seat in the house’. The Wildish is located at 630 Main Street in the heart of downtown Springfield. A Community Center for the Performing Arts, located in the historic Woodmen of the World Hall.